If there is any wish I could hope for anyone, it would be that for he or she can discover what makes him or her come alive, and then be given the courage and support to live that life. Today, I turn 25 years old. Perhaps before I could wish this for anyone else, maybe I should rediscover what makes me come alive and reflect on who I want to be. I want to be a man of peace and joy, two virtues I feel I lack all the time, and two virtues I pray for all the time. I want to be a man who is able to keep his peace in the most stressful moments, a man who is able to find joy in times it's most difficult. I believe there should be an inner happiness deep inside each and everyone one of us that no one in the world can touch, and that we should be able to delve into it as often and whenever we want. 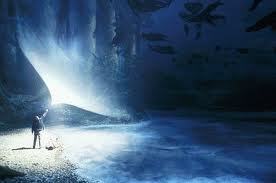 We all need a Patronus to give us light in any darkness. My favorite concept from the Harry Potter books is the Patronus, the spell Harry casts out onto soul-sucking dementors. My favorite moment in the whole seven-book series is when Harry tries to create one for the first time. The only way to cast a Patronous is to delve deep into one's inner self for a happy moment, a place of joy. Harry tries over and over again, trying to find the happiest moment in his life strong enough to cast the spell. Finally he finds one, the time he found out he was going to Hogwarts and says to himself, "If this isn't one of my happiest moments, I don't know what it is." I often think about what moments in my life I would derive my Patronus from. It changes frequently, often having to do with family and being with them, for the longest time it has been spending Christmas with them, which is my favorite day and time of the year. What would be yours? I want to be a man who is disciplined and purposeful. To summarize a life changing book for me, Wild at Heart by John Eldredge, the author says all a man needs in his life are three things: a purpose to fight for, a beauty to show up for, and an adventure to live it all through. I believe almost all the vice in the world would relinquish if each man knew who he was, whose he was, and was committed to positively fight for a goal he would die for day in and day out. 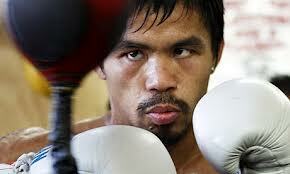 I want to be get up each morning, ready to fight. For me specifically, I want to be a man who is dedicated to his day. I want to get up in the morning a fighter, instead of snoozing, curled in my covers a coward. I want to be a man who starts his day with prayer, lives his day with prayer, and ends his day with prayer. I want to do my job, no matter how difficult, overwhelming, and stressful it is, to the best of my ability with my dad's old saying "If you're going to do something, do it the right way." I want to be a man who is strong, who takes care of his body, heart and mind through exercise. I want to be a man who treats every individual as if they were the most important person in the world. I want to be a man who loves charitably, especially to my loved ones, family, and friends. I want to be a man who trusts God completely with my fears, my doubts, my worries, my stress. I want to be a man who is patient. I want to be a man who would die for what he believes in. I want to be a man who lets go. I often try to plan the future, I often over-think things, I often say "I should have..." I need to let go and let...well, you know. 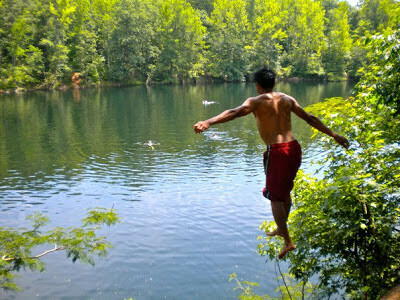 There's a quarry near my home in Durham where some of my best guy friends went down to a couple summers ago. There's a jump from this cliff into the water that's about twenty feet high, but the kicker is that it's about 10-15 feet away from the water. So to make the jump, you need a good running start, or you'll fall into the trees and rocks below you. At the top of the cliff you cannot see your potential death-by-branch-and-stone below you and only the water of the quarry before you. The only time when you'll see what's below is by time you're in mid-air. It took me quite a long time at the top to jump. Actually, my first attempt ended in an abrupt stop as I grabbed a tree before falling off the edge. My friends were in the water wading and waiting, "C'mon, let's go Matt!" I backed up as far as I could, swim trunks and bare foot, breathing hard, heart beating fast, gripping the tree trunks beside me. Finally in my head I said, "Don't think, Matt, don't think Matt, just jump!" and I sprinted full speed toward the cliff, at the edge jumped off my left leg, and flew through the air past the trees and rocks, a few expletives coming out of my mouth, all of it lasting a little longer for comfort, until I splashed into the water. I read a recent article from the artofmanliness Web site that said to in order to feel like a man, we men must first do things that are manly, whether we feel like doing them or not. The sense of "feeling like a man" will only then come after once acting and being one. I have to take this to heart every day, I have to get up even if I don't want to, I should pray even though I don't feel like it, I need to love my Mimi and family and friends, even when I struggle to feel love myself. I can't think about it, just do. Let go and jump. Today I ran out of pages in my hand journal I've been keeping for the past two years now. Perhaps appropriately because tomorrow I begin a new one I'm sure, and start a new page fresh. I thank God for what I've written these past 24 years, here I am to write alive for 25.